South Cotabato Provincial Capitol has a new look! 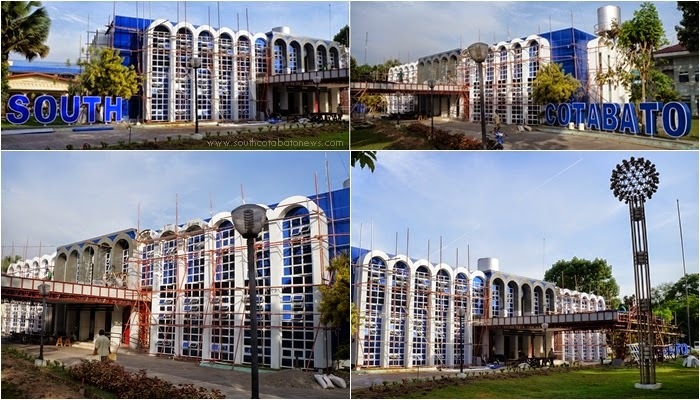 The ongoing refurbishing and improvement of the South Cotabato Provincial Capitol located at Alunan Avenue, City of Koronadal is now nearing completion. Shown are recent pictures of the provincial capitol which now has a modern-look. Noticeable are the huge standees forming the words "South" and "Cotabato" placed separately at the sides of the building. What can you say?